Elephant Wood Earrings made from Eco-Friendly Wood! Elephant Earrings, Made from sustain-ably sourced wood and 90% recycled display cards. Are you strong and mighty? 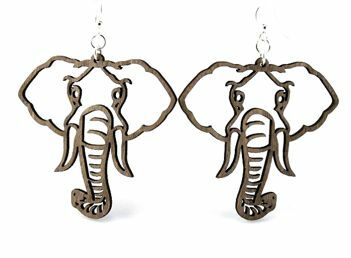 These elephant earrings are a great way to depict the similarities between you and these mighty animals!